Do it with Passion & Free downloads! Happy New Year! It's that time again when everyone starts making their new years resolutions. Although it's great to set new goals and to be excited for a fresh start, so often we break these resolutions quickly within a couple weeks. 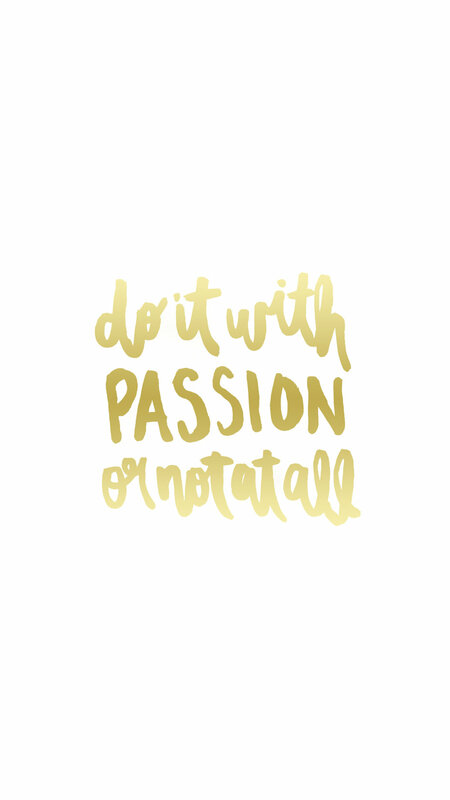 Instead of making resolutions this year, how about we focus on doing all things with passion or not at all. It's time to simplify life and make time for things that matter most. As we get older our lives keep changing and getting more and more overwhelming as we try to do it all. It's not fair to ourselves or to our loved ones when we're always doing things half way. This year learn to say no to the things that don't bring you joy or fire you up. Don't do things just for the sake of doing something, let whatever you do, be done with passion. This world has made us believe that being busy is what it takes to be successful, popular or loved, but that's not true at all. Living life simply, intentional and with passion allows more room for growth and love. Let's make 2017 the best year yet, making time for what matters most. As always these freebies are just for you. Please do not re-distribute or sell as your own. If you are kind enough to blog or share these images please link back to this original post. Thank you!